Ready to give your mom some private space that she deserves. 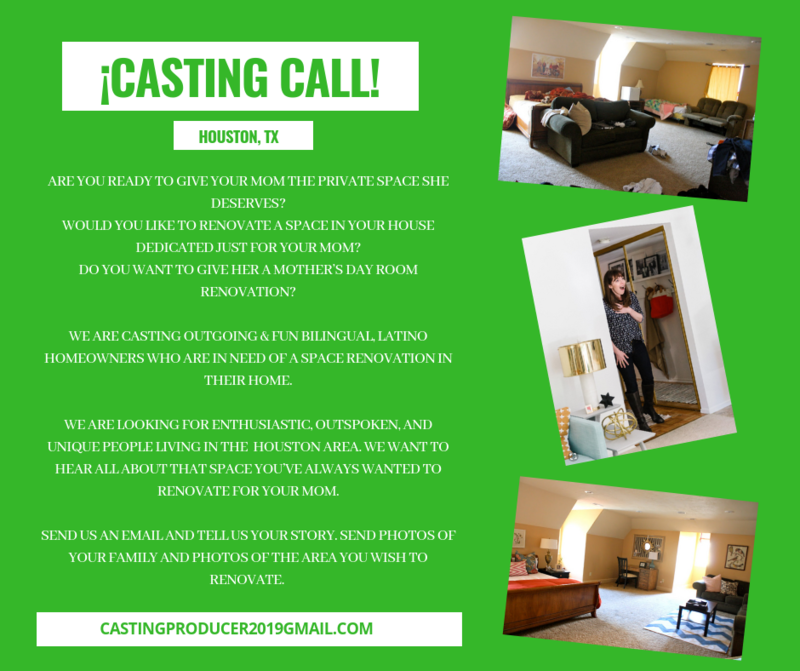 Reality show is now casting in the Houston Texas area for outgoing and fun Bi-lingual / Latino homeowners who are in need of a space renovation in their home. Would you like to renovate a space in your house dedicated just to your mother for Mother’s Day? Do you want to give mom a Mother’s Day room of her very own? The show is looking for Houston area families that would love to do just that. Please see the casting notice below for all the details and the information on how to apply to be on the home makeover show.